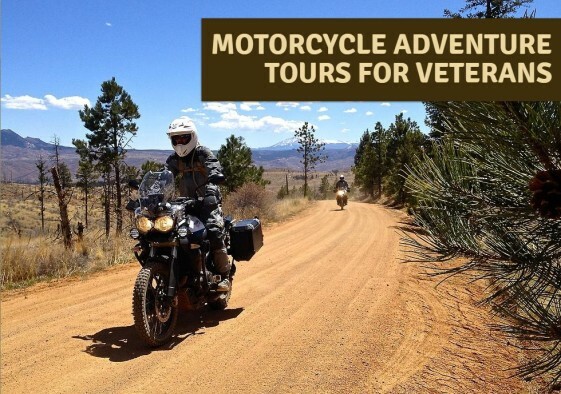  An unforgettable ride for Veterans across Colorado's most scenic roads. Returning veterans suffering from PTSD or other invisible injuries now have a new option in recreational therapy. The non-profit Motorcycle Relief Project was recently formed to take veterans on multi-day motorcycle “Relief Rides” through the mountains of Colorado as a means of helping them decompress, connect with others who have had similar experiences, encounter nature and beauty, and learn valuable techniques for managing their injuries. Participants will get to ride through incredible scenery both on and off the pavement. 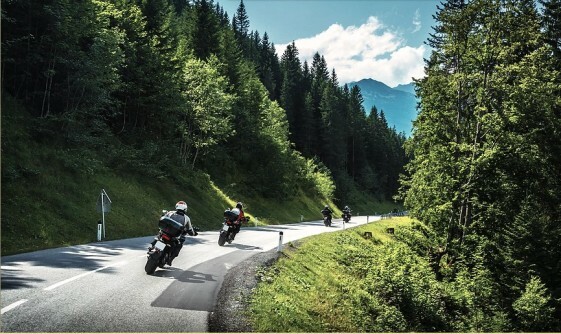 Rides will include carving the corners on some of Colorado’s most scenic paved roads, as well as backcountry riding on forest roads and moderate jeep trails. While not on the bikes, participants will have the chance to get to know one another, encourage one another, and learn and share practical ways for managing their injuries. Participants get to ride on some of Colorado’s most scenic trails and two-lane roads. Groups of up to eight veterans and at least two guides will have the use of specially-designed adventure bikes. Participants must have a valid motorcycle license and at least some off-road experience. Veterans must get themselves to Denver but once they arrive all meals and lodging, protective gear, insurance and a fully equipped support vehicle will be provided during the tour. Cost: As a participant you are asked to pay a $100 non-refundable deposit to guarantee your spot in the group. The rest of the cost (approximately $3,000 total) is covered by donors who want to bless you with this adventure as a token of their gratitude for your military service. About: The Motorcycle Relief Project (MRP) is a nonprofit organization that provides relief to veterans with PTSD and other injuries by taking them on multi-day motorcycle adventure tours. Their mission is to honor, bless and encourage veterans while providing them with opportunities to decompress, get unstuck, and connect with other veterans. So please share and help spread the word about this unique ride!  The World’s Fastest GS?